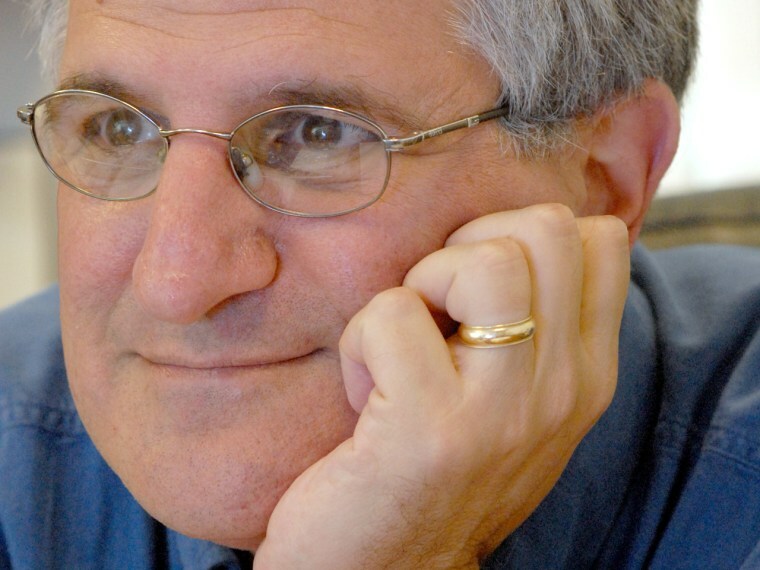 Dr. Paul Offit doesn’t like getting threats. But the 62-year-old pediatrician at Children’s Hospital of Philadelphia says it goes with the territory when taking on powerful industries and interest groups whose beliefs are deeply rooted in emotion. He’s ready for a tsunami of criticism with his latest foray into debunking popular wisdom – “Do You Believe in Magic? : The Sense and Nonsense of Alternative Medicine” in which he takes on the vitamin and herbal supplements industry, alternative medicine of all kinds, Congress and celebrity doctors who peddle their own products. It hits the shelves on Tuesday. Yet studies have shown that not only do vitamin supplements fail to lower cancer risk, but they can actually cause cancer – most notably the 1994 Finnish study that found smokers who took beta carotene – which the body converts to vitamin A – actually had a higher risk of lung cancer than men who didn’t take the supplements. Alternative therapies of all kinds are often not only of no benefit whatsoever -- they can be harmful, he notes. Offit is best known for taking on vaccine doubters – people who worry that vaccinations might somehow harm children and whose fears culminated in a wave of support for the argument that childhood vaccines can cause autism. Offit has received death threats and even not-so-subtle telephone threats against his own children after he challenged these ideas in national media; they worsened when he wrote a book, “Autism’s False Prophets" that not only systematically took down the arguments but sought to expose some of the powerful money-making interests that were driving a supposed grassroots lobby. But he’s challenging a much bigger group this time. According to the National Center for Health Statistics, more than half of Americans took some sort of dietary supplements in 2003-2006, 40 percent of them multivitamins. Some are recommended – doctors routinely prescribe certain vitamins for pregnant women to prevent birth defects. But too much vitamin A can cause birth defects, so women must be careful. And the Institute of Medicine recently questioned the common practice of prescribing vitamin D for people whose levels are low. Offit says it infuriates him to see not only ordinary citizens buy into the claims of homeopaths, naturopaths and the vitamin industry, but doctors and hospitals. He calls out Dr. Andrew Weil, Dr. Deepak Chopra and others, saying they have abandoned science for the thrill of celebrity that goes with evangelizing alternative medicine. Weil, for instance, has promoted the plant kava as a non-addictive relaxant. “Seven years later, when kava was shown to cause severe liver damage, the FDA issued a warning against its use,” Offit writes. But few consumers are aware. Weil sells his own line of supplements. Chopra sells a line of supplements, oils, books and even jewelry. “Chopra has helped wealthy businessmen, celebrities and politicians like Michael Jackson, Elizabeth Taylor, Winona Ryder, Debra Winger, Madonna, Mikhail Gorbachev. Michael Milken and Hillary Clinton find their inner space without feeling bad about being rich,” Offit writes. Spokespeople for Weil and Chopra did not respond to requests for comment. Offit, who helped invent the RotaTeq vaccine against rotavirus, is himself the frequent target to critics who say he has his own vested interest in promoting commercial pharmaceuticals. But drugs and vaccines that are regulated by the Food and Drug Administration are held to a standard, Offit argues. Their makers have to prove not only that they work, but that they are safe. And he answers his critics with an anger and determination born from watching children die. “I see myself as a child advocate,” Offit says. Profits from his book go to the hospital where he works. He famously tells how he started his work on a rotavirus vaccine after watching an otherwise perfectly healthy 9-month-old girl die of the infection while he was finishing his medical training. Just this year, Offit says, a child died of influenza at his hospital. The child’s parents hadn’t believed in the need to vaccinate against flu. Offit starts his book with the case of Joey Hofbauer, who died at age 10 of Hodgkin’s disease after his parents subjected him to a series of alternative treatments instead of standard cancer therapy that would have given him a 95 percent chance of survival. “Joey Hofbauer’s story, while extreme, contains much of what attracts people to alternative therapies today: a heartfelt distrust of modern medicine,” he writes. Offit describes how the vitamin industry used this distrust to lobby Congress to give it a pass. The Dietary Supplement Health and Education Act (DSHEA), passed in 1994, specifically exempts vitamins and supplements from FDA's pre-marketing scrutiny, although the agency can warn against products found to be dangerous. People want to believe that because something is “natural”, it must not only be safer, but must somehow work better than synthesized drugs. But many drugs on the market, from antibiotics to chemotherapy agents, are either based on natural products or taken directly from plants. Herbal products bought in stores can have many of the same side-effects as prescription drugs – but because they aren’t regulated the same way, people don’t know it. Offit gives Vioxx as a case in point. Vioxx, approved in 1999, was a huge hit for treating arthritis pain. It’s a more refined version of the drugs in the same class as aspirin and ibuprofen, without causing the stomach bleeding that can make them dangerous. Tests showed it could raise the risk of heart attacks and Vioxx’s maker pulled it off the market. One explanation is extremely sophisticated marketing, Offit says. “You have to give credit to the industry – they have set themselves up as different from big pharma, when they are exactly the same as big pharma,” he says. Another is the sense of self-control that people can get from using herbs, vitamins or supplements. “You can be your own doctor,” he says. But at least with prescription drugs there are watchdogs – not the just FDA, but a drug’s competitors, and the academic research community. While studies are done on vitamins and supplements, it’s not as common as with prescription drugs. “Without data, you are strictly relying on infomercials and internet chatrooms and your friends,” he says. Anecdotes are powerful, Offit adds, but the story of one or two people cannot outweigh data involving thousands. One answer is to look for what data there is. The National Institutes of Health now has a center set up to test the claims of alternative treatments, from chiropracty to acupuncture. The National Center for Complementary and Alternative Medicine has found that acupuncture can relieve some forms of nausea and that no supplement helps hepatitis C.
The Cochrane Library, which looks at published studies that have been done with a certain level of scientific rigor, has found that garlic doesn’t help leg pain caused by clogged arteries, that the amino acid creatine can help patients with inherited muscular diseases and that music can calm you before surgery. "The answer is to be a smart consumer," Offit advises. "We should demand that claims be supported."